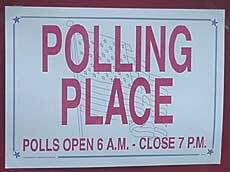 You can listen in tonight as Jim Ash and Mike Fak broadcast election results live from the Logan County Courthouse from 7:30 p.m. until all the precincts are in. Possibly the broadcast will last until 11 p.m. or midnight. [NOV. 7, 2000] The Alcohol, Tobacco, and Other Drug Task Force of the Healthy Communities Partnership is sponsoring a "Town Hall Meeting" on Wednesday, Nov. 15, from 6 to 7:30 p.m. in the Lincoln Community High School auditorium. The purpose of the meeting is to discuss alcohol and drugs, teen pregnancy, domestic violence, agricultural issues, and other community issues or concerns. [NOV. 7, 2000] Les Wood likes to talk about coyotes. He’s learned a lot about them, which helps him in his business of wildlife nuisance control. He’s also learned to respect this intelligent animal that can make its home just about anywhere. 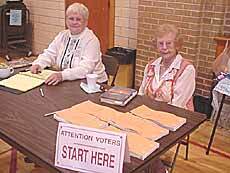 [NOV. 7, 2000] Voting doesn't solve everything, at least not right away, even if your chosen candidates and causes win the most votes. Some public situations needing improvement don't show even up on the ballots. For example, I’m interested in an issue with plenty of contrast — light and darkness — although some elections specialize in shades of gray. [NOV. 7, 2000] Tickets for the state volleyball tournament are on sale Tuesday through Thursday in the main office at Lincoln Community High School. 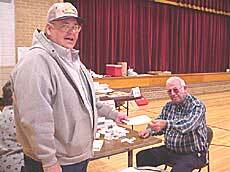 Pat Zurkammer handles the ticket sales. 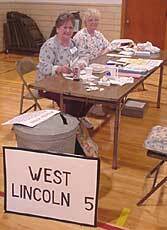 [NOV. 7, 2000] Statistics are posted for Lincoln Community High School’s ladies volleyball team, as of Nov. 6. [NOV. 7, 2000] Click below for the tentative schedule for Lincoln Railer volleyball this weekend. [NOV. 7, 2000] Some Lincoln Community High School parent teacher conferences are rescheduled due to the volleyball tournament game on Friday. [NOV. 7, 2000] The Lincoln Public Library will host Family Reading Night on Thursday, Nov. 16, at 6:30 p.m. The program will feature Heather Harlan Bacus, a Jacksonville storyteller, musician, songwriter and speaker. The Faks Machine: Mike Fak and Jim Ash host a community call-in show. Their show airs on Lincoln Daily News over the Media One link every Wednesday night beginning at 7 p.m.